ENG: Tori Sparks is interviewed and plays live on the summer edition of “La Tarda” on La Xarxa radio. Tune in live or online. CAS: Tori Sparks sera entrevistada y tocara en vivo en la edición de verano de "La Tarda" en la radio La Xarxa. Escucha en directo o online. ENG: Tori Sparks is interviewed live on Mataro Radio 89.3FM on the program “Bon Dia Amb Alegria,” with presenter Maria Lluïsa Aranaz. Tune in live or online. CAS: Tori Sparks estara entrevistade en directo en Mataro Radio 89.3FM en el programa "Bon Dia Amb Alegria", con la presentadora Maria Lluïsa Aranaz. Escucha en vivo o online. ENG: Live interview on RKB 106.9FM (in English), with Tori Sparks, Thembe Fashions designer Philissa Williams, and more. We’ll talk about the upcoming One CoWork Fashion Show + Charity Brunch Concert, as well as other interesting things on the horizon for summertime. Tune in via terrestrial radio or online, here. 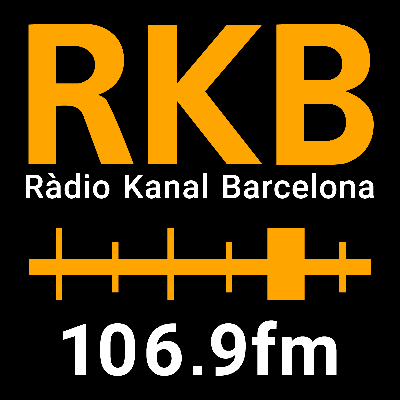 CAS: Entrevista en directo en RKB 106.9FM (en inglés), con Tori Sparks, diseñadora de Thembe Fashions Philissa Williams, y mas. Hablaremos sobre el próximo One CoWork Fashion Show + Charity Brunch Concert, así como otras cosas interesantes por venir este verano. Escucha través de la radio, o online aquí. ENG: Live con Silvia Garcia on Tarragona Radio, tune in or online. CAS: En directo con Silvia Garcia en Tarragona Radio, escucha o online.